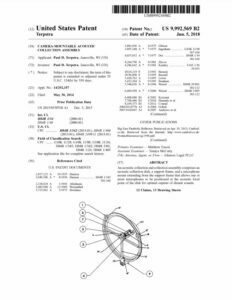 Klover Products (the parent company of Sound Shark Audio) recently received its second patent from the U.S. Patent & Trademark Office. This patent covers the design of the smallest of Klover Products’ parabolic microphones (collectors). A separate patent was previously granted for the design of Klover Products’ larger models. The small parabolic provides a great alternative to shotgun microphones and has been popular with small production companies. The Sound Shark Is Designed to Protect Your Camera!